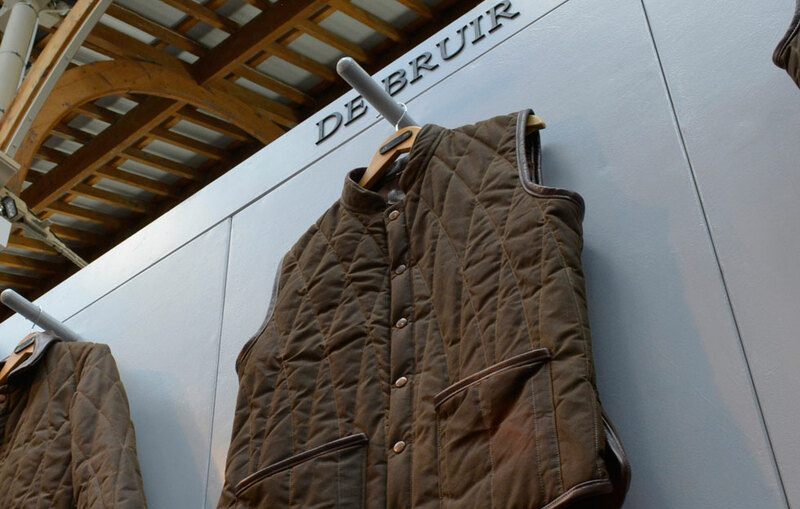 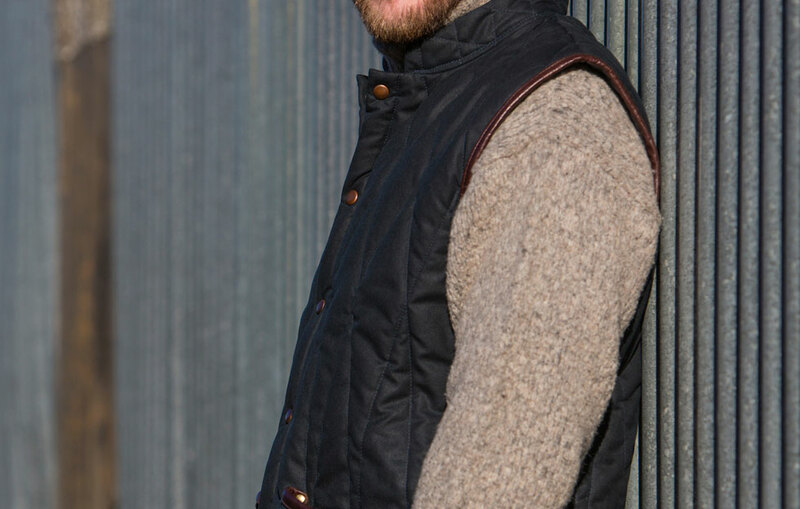 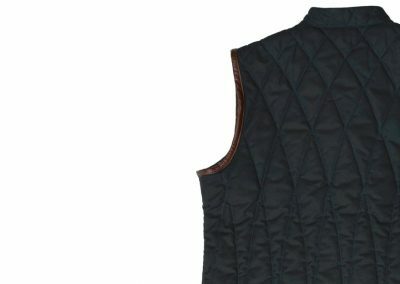 In my sleeveless coat, I wanted to give traditional country-wear a modern, urban twist. 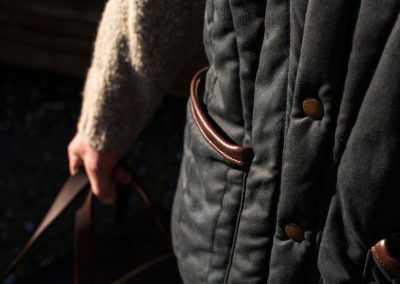 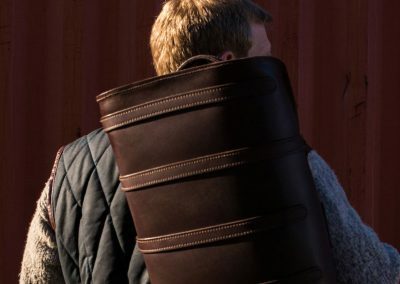 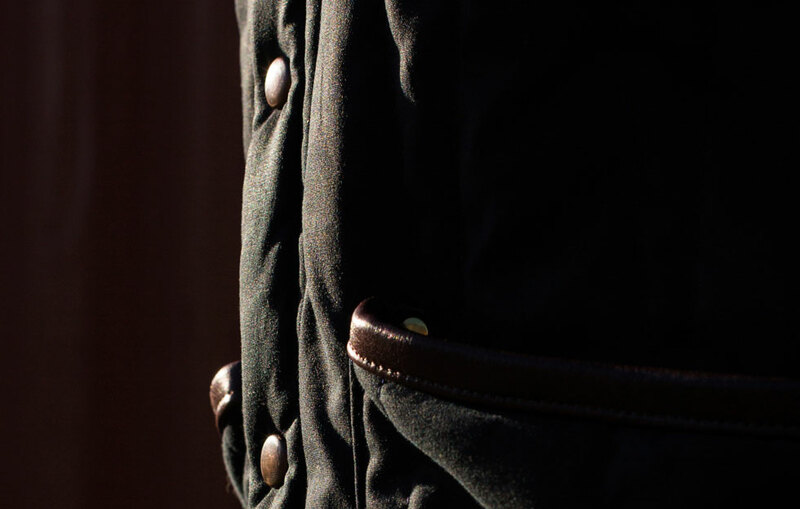 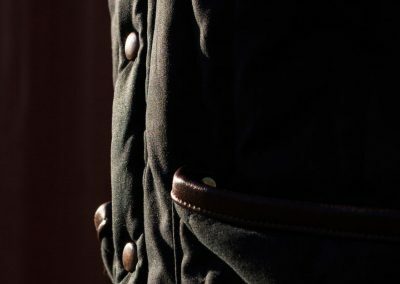 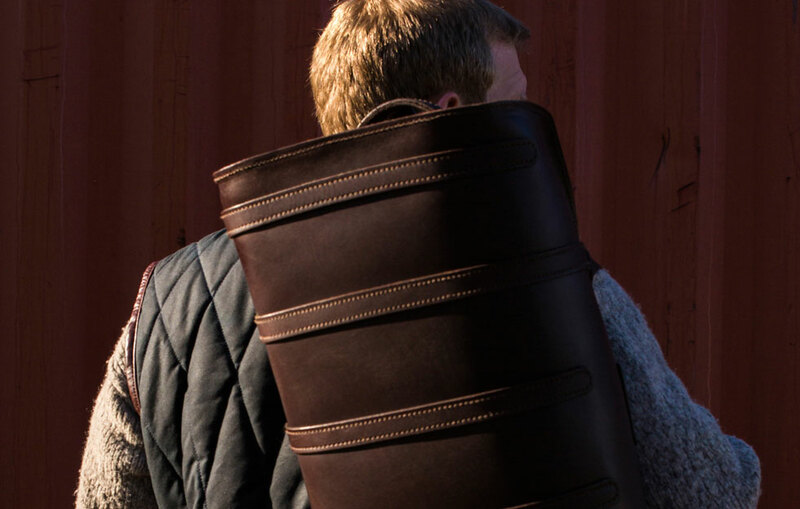 Create something the wearer would love slipping into while outdoors, in the countryside, for outdoor activities, in work environments, while hiking, but would be just as perfect in causal settings: socialising; parties; holidays; drinks with friends. 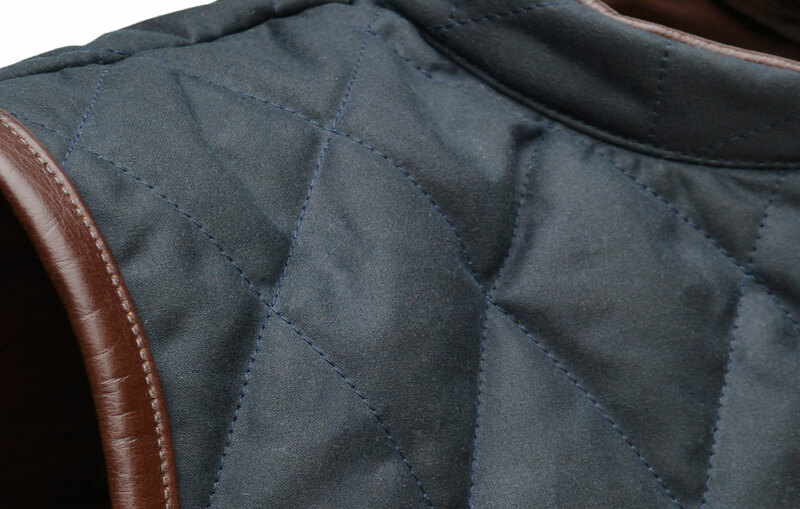 The wax cotton material, sourced in Ballymena, allowed me to create this blend. 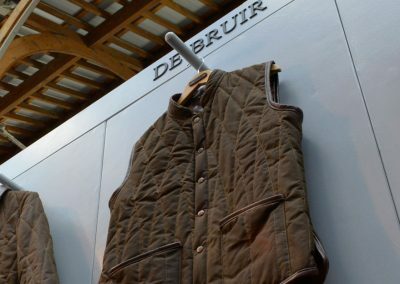 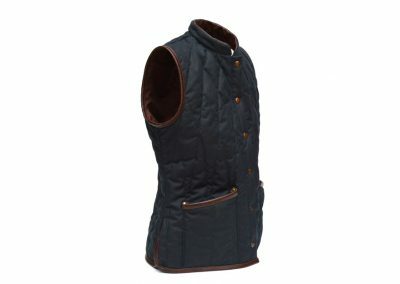 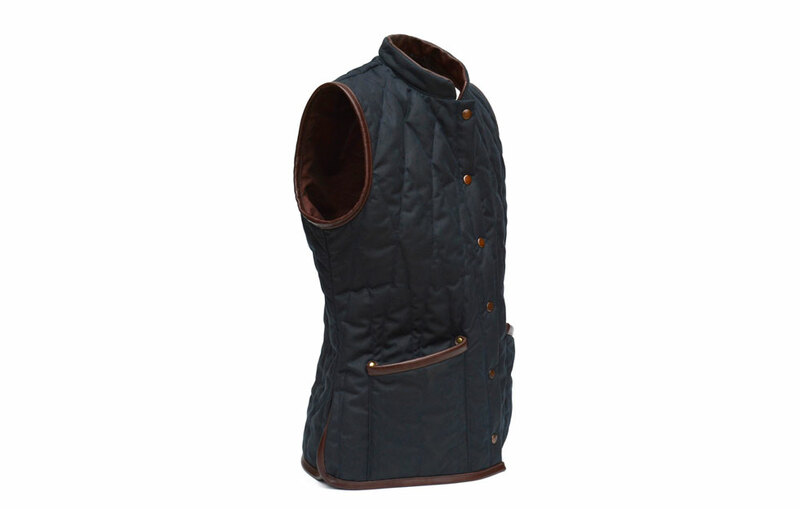 Comfortable and convenient to wear, this sleeveless coat has a broad appeal. 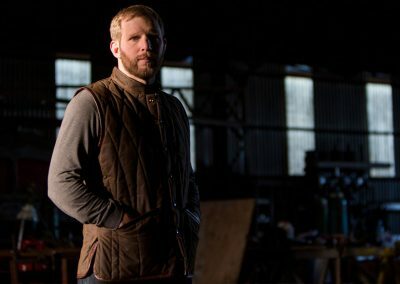 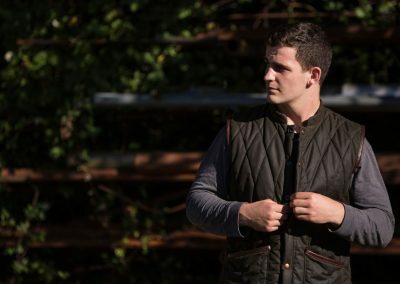 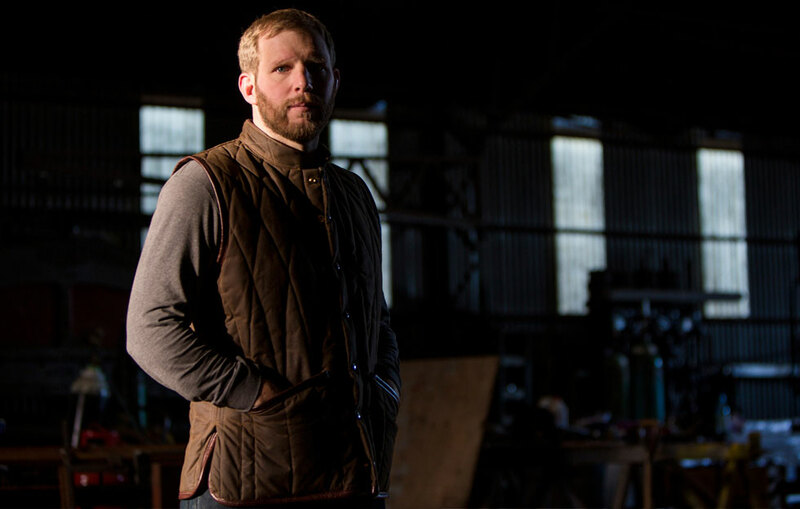 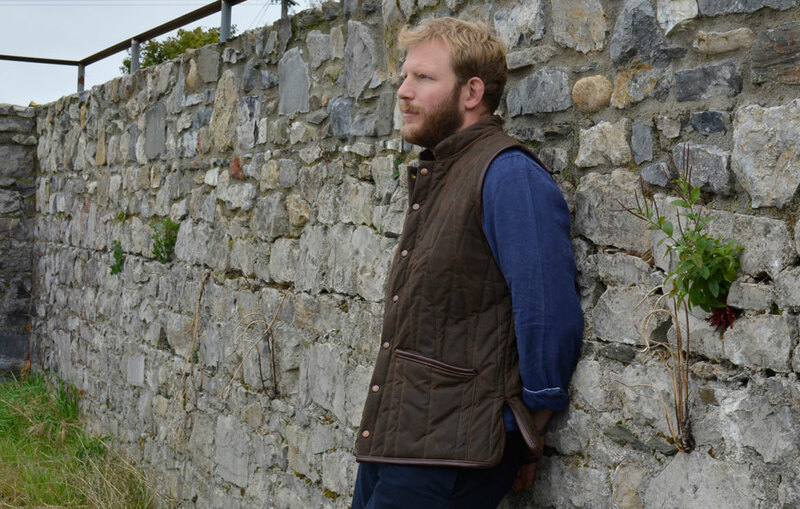 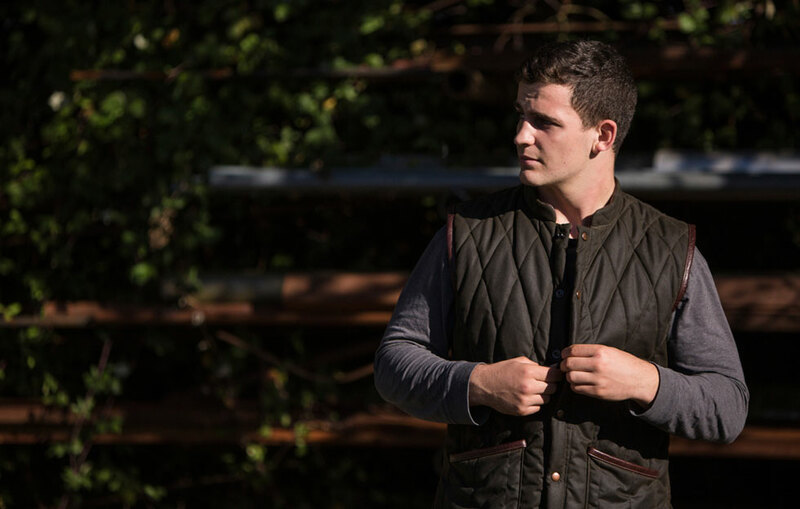 From city to country living, or casual to workwear needs. 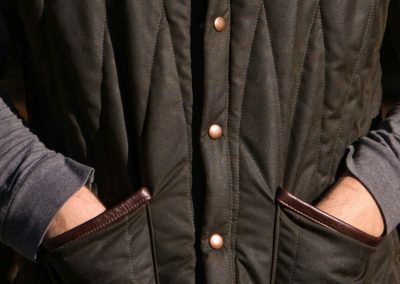 It can be worn over a shirt, jumper or blazer. 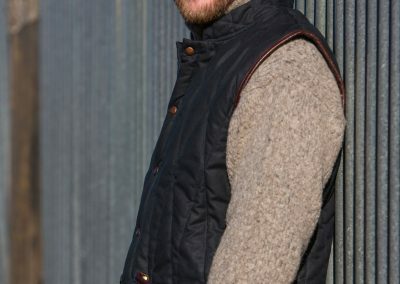 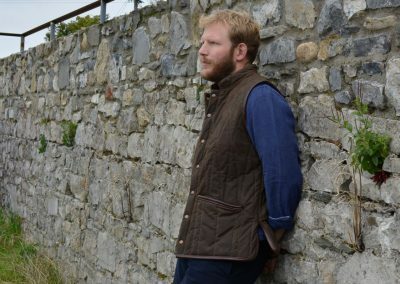 We make these in our workshop in Kildare with a wax cotton from Ballymena. 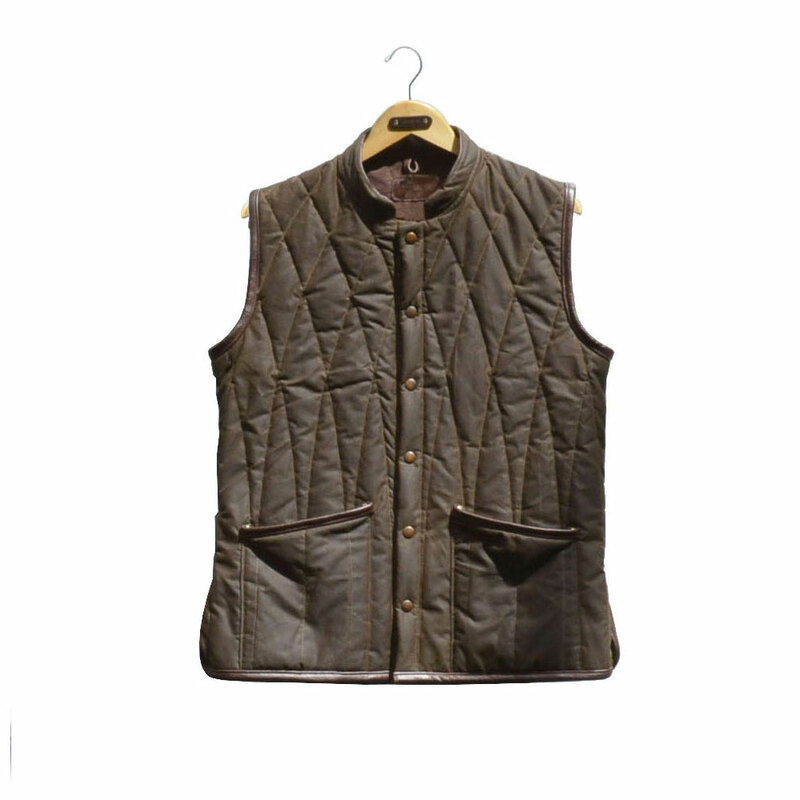 We tailor this sleeveless coat to various bodyshapes for ladies or gents. 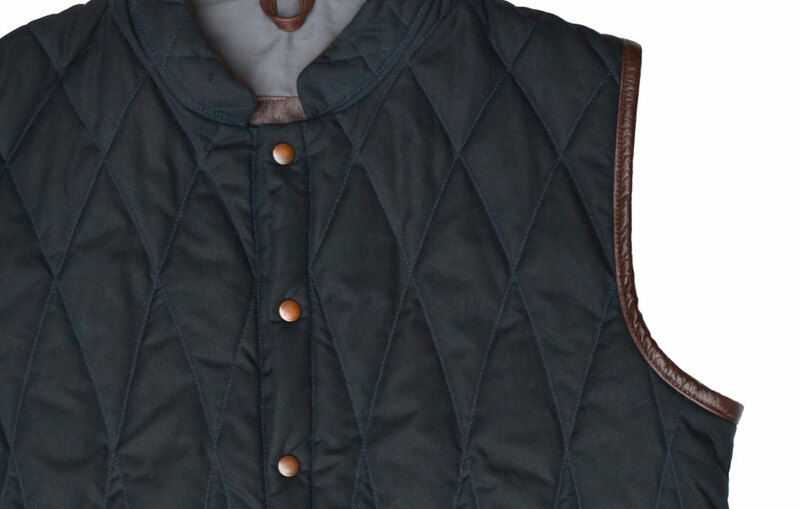 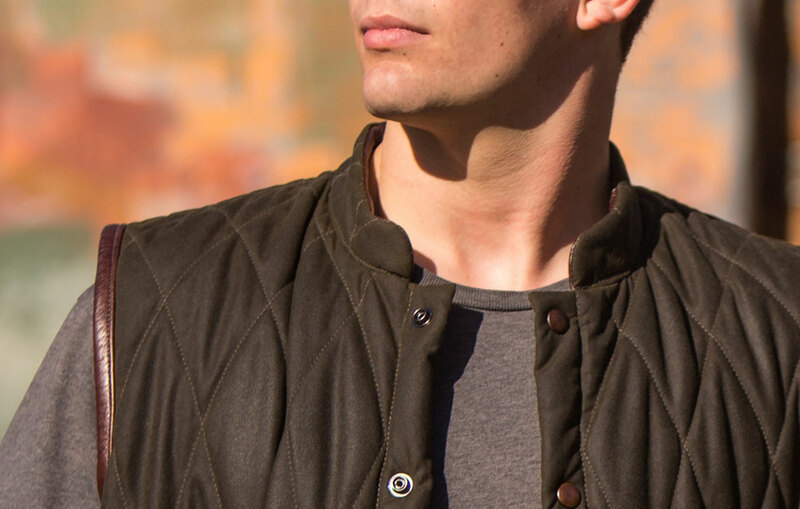 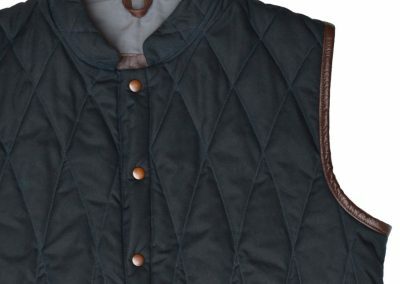 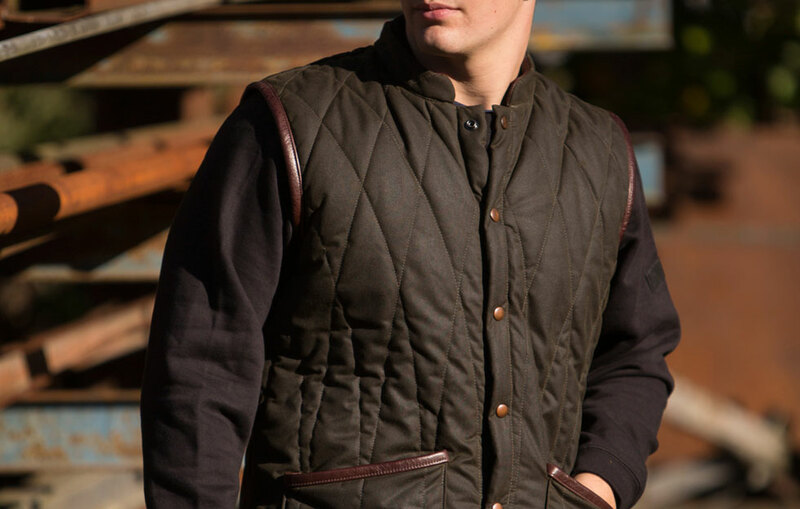 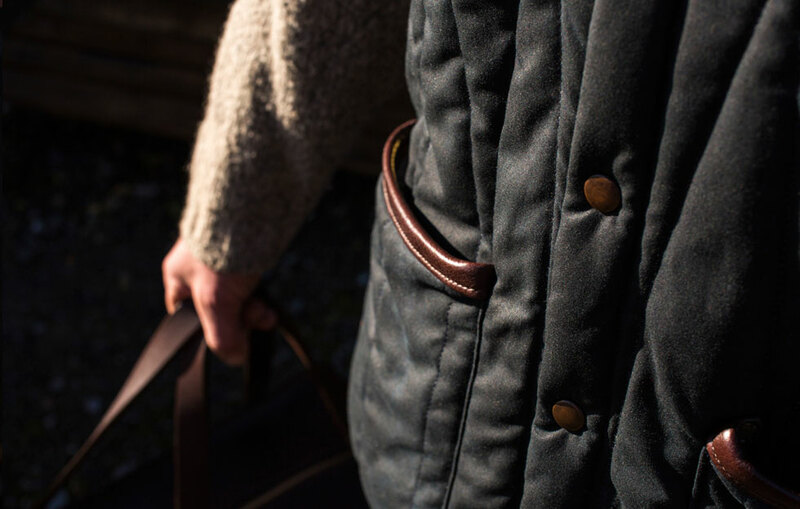 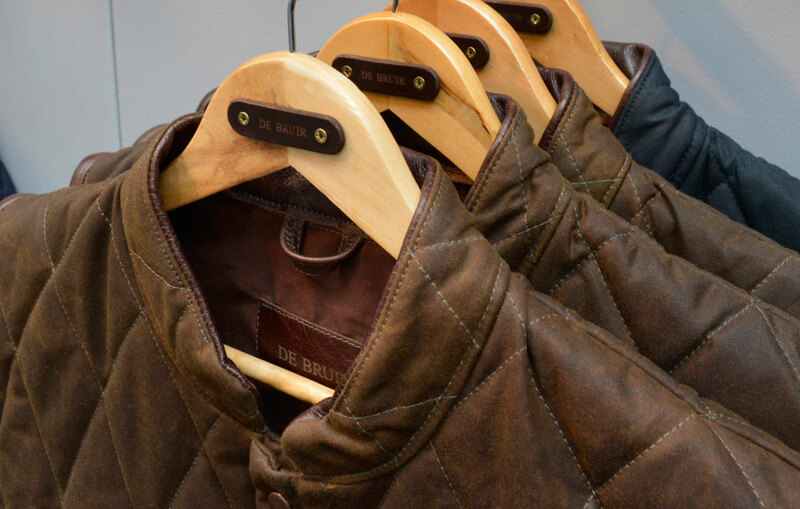 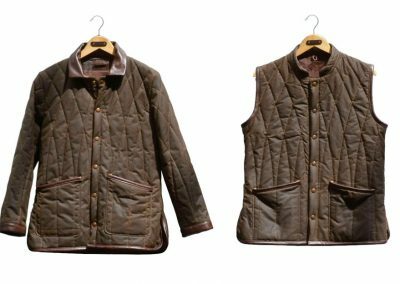 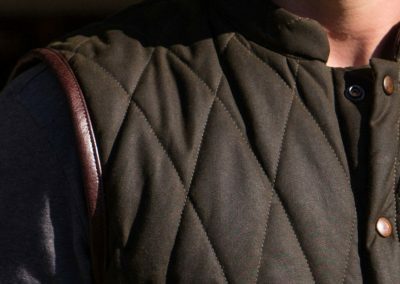 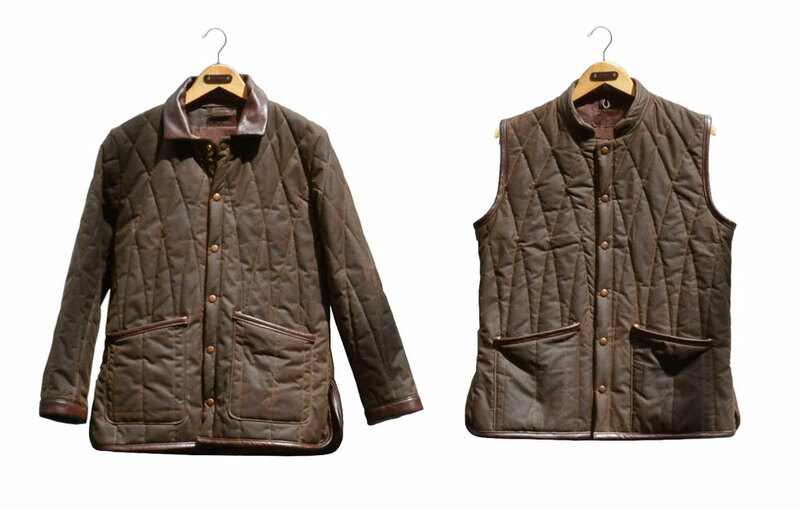 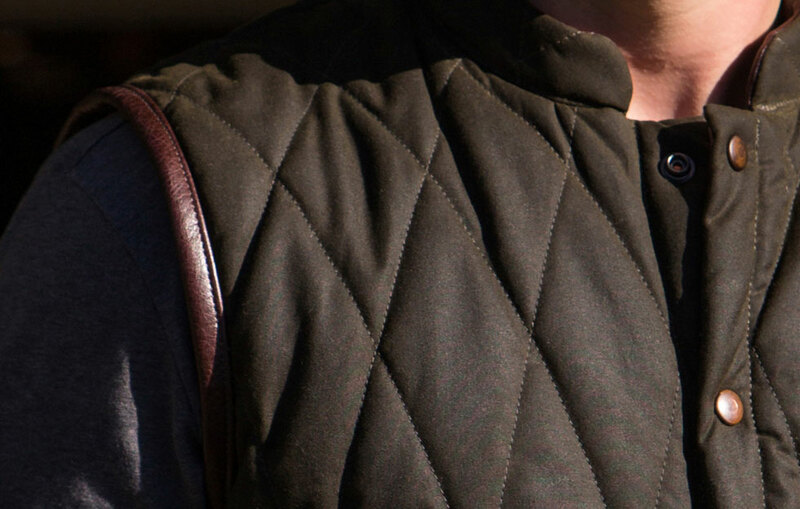 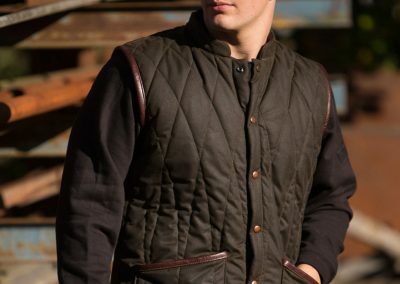 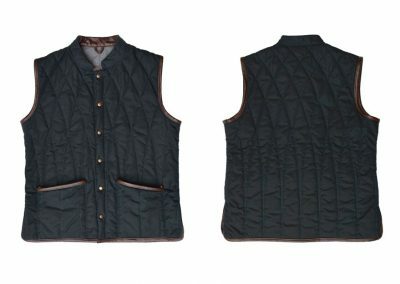 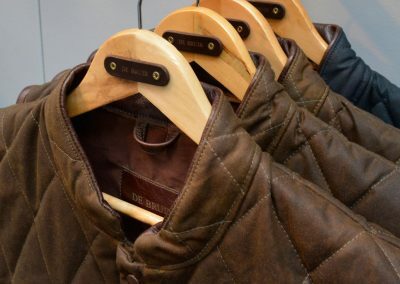 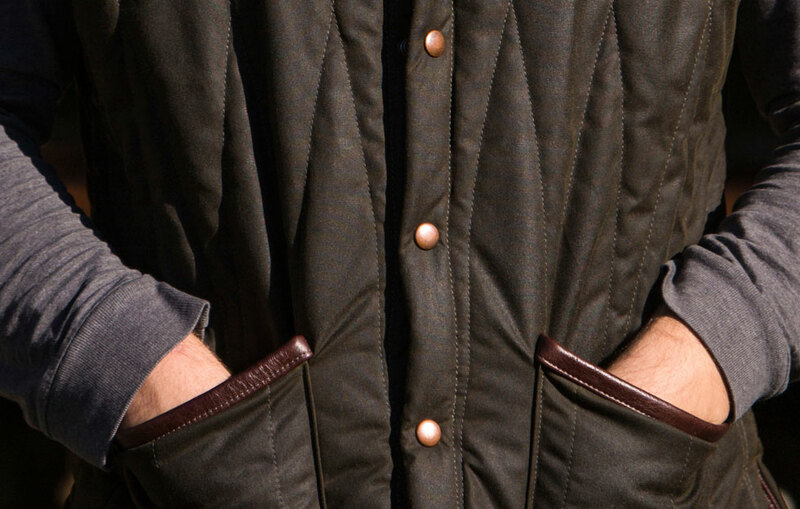 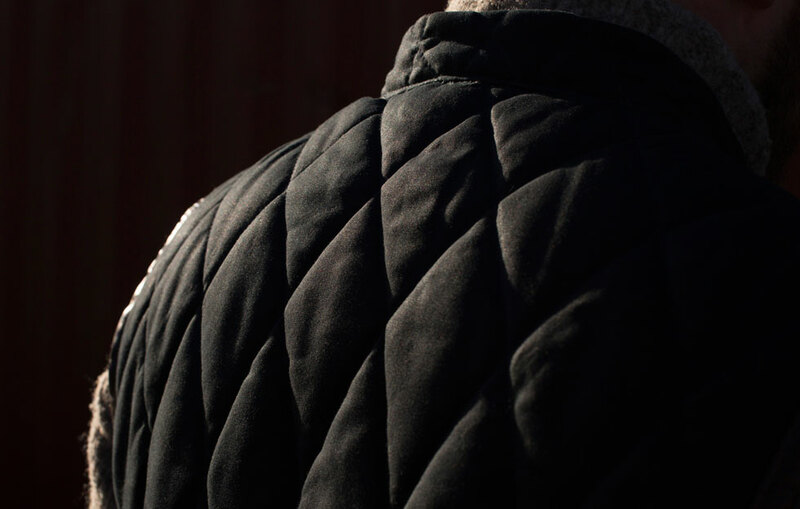 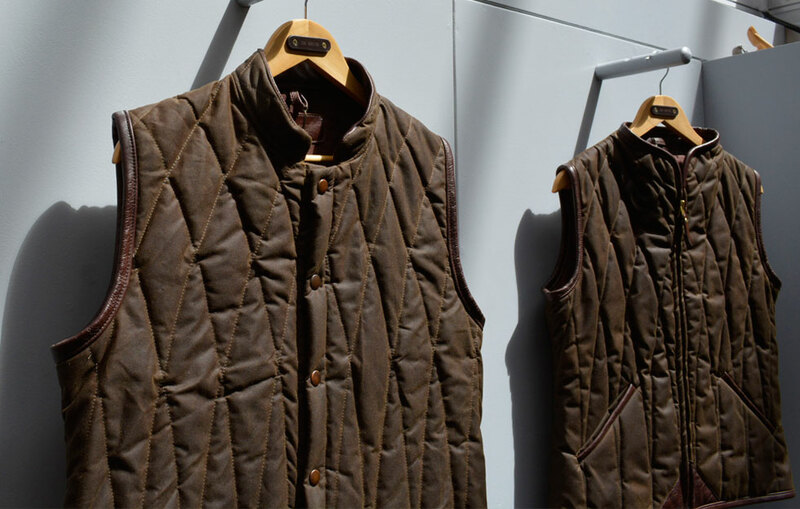 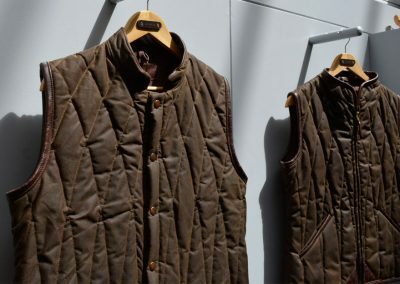 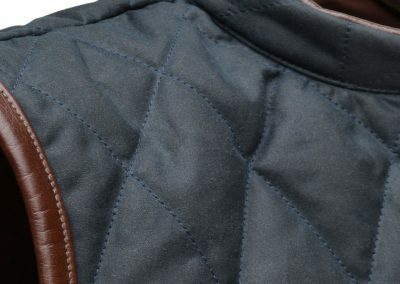 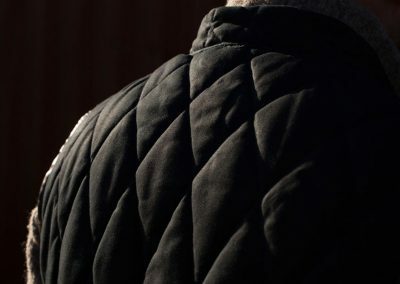 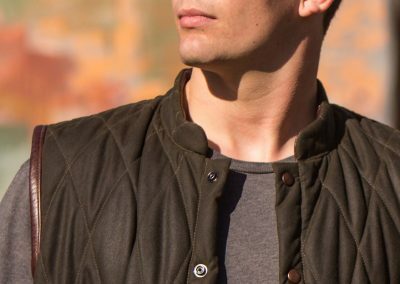 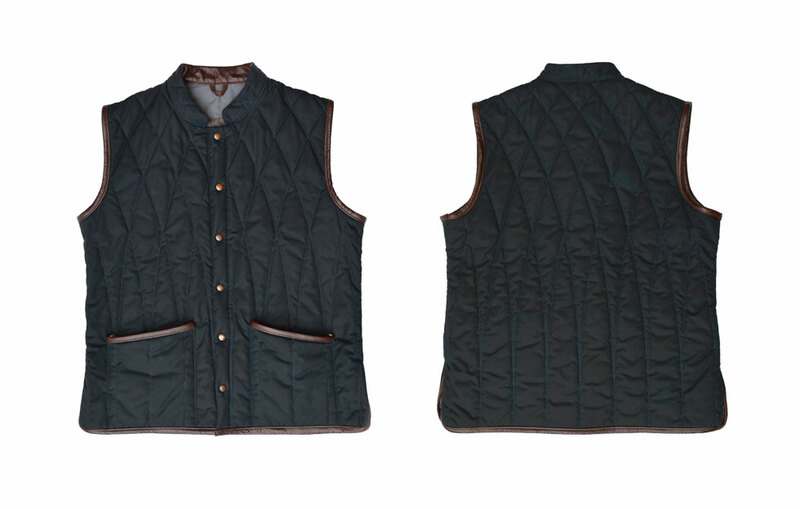 The quilted wax-cotton is available in navy or olive green and combines with a brown leather trim.